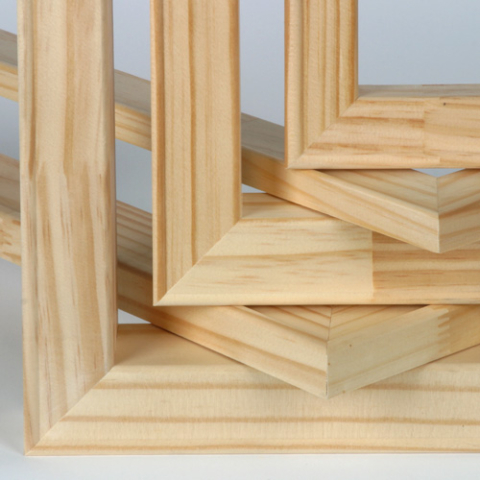 Metropolitan Framing are your canvas stretching specialists. Have you recently travelled overseas and purchased artwork on Canvas? Do you have a rolled up canvas still laying around from last year’s holiday? Metropolitan Framing are Perths canvas stretching professionals. We will custom stretch your canvas artwork ready to hang. All of our canvas work is stretched onto quality custom stretchers/strainers. We also custom build stretcher/strainer frames for non-standard and large format works. Trust your artwork to us. 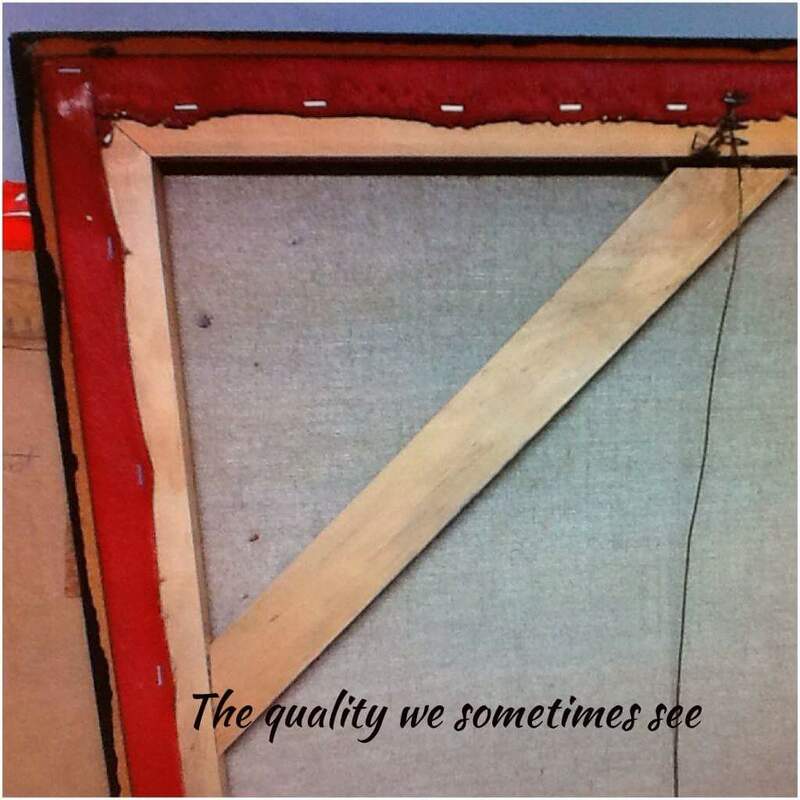 Unlike some canvas stretching services, we use only quality materials and processes. 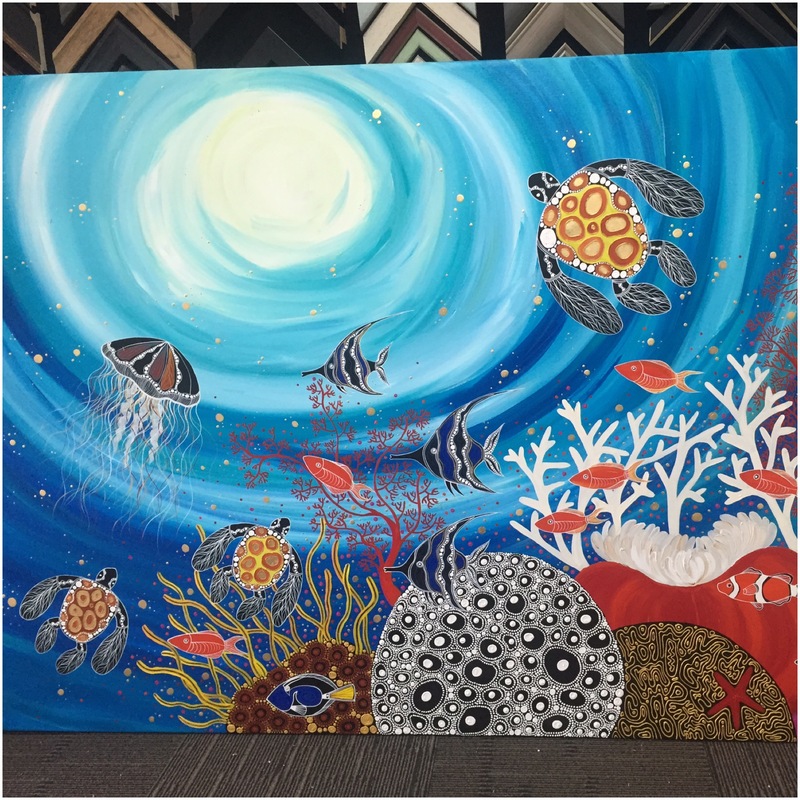 We specialise in Original Aboriginal, Bali Artwork and Wide-Format Digital Canvas prints. Only stainless steel staples are used to secure your artwork. Other staples may rust over time causing damage to the artwork. Proper kiln dried pine strainer bars with a lip are used, not just square edged industrial timber. This allows the work to sit correctly on the frame. We also offer an option of quality Meranti timber stretchers if preferred. We use plastic coated stainless steel hanging wire where required. This is strong and doesn’t stretch or rot. D-Rings are used on all our work – we finish the job professionally and recommend using a “2-Point Hanging System” for safe and stable art hanging. We even supply complimentary wall hooks with our canvas artwork. 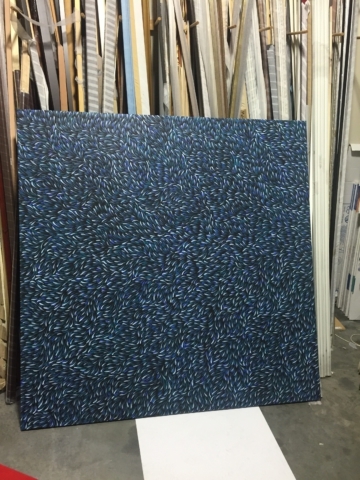 We complete the backing of the stretched artwork with tape. We use bumpers on the back corners of all of our work. Support braces are used where required ensuring that the work stays taught and square. Frame sealing polyethylene barrier tape can be applied for a more archival result of your finished product. We have a Certified Picture Framer (CPF) on staff to offer advice and guidance on the various ways to display your canvas paintings or prints. Framing or floating options are also available. 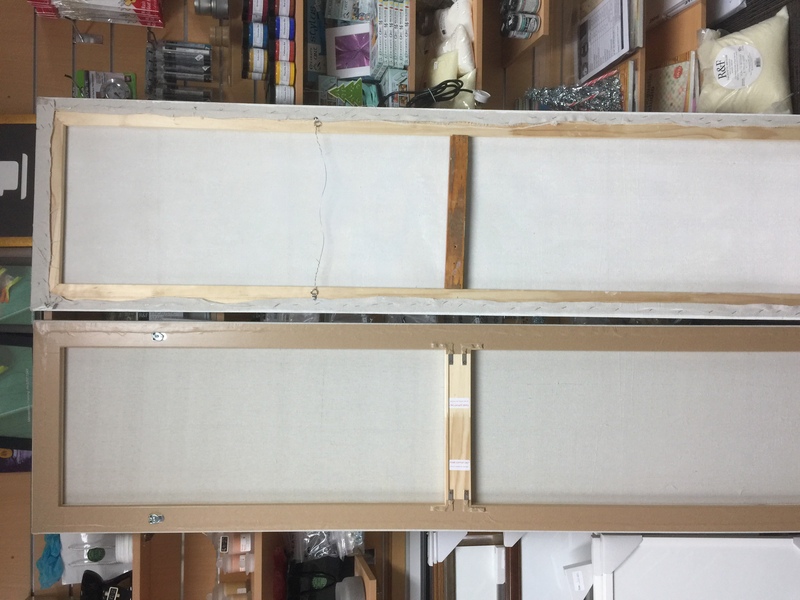 If you prefer a DIY option, we can supply stretcher bars, strainers or custom built frames for you to stretch and/or frame the canvas yourself. We even have stretching pliers and staple guns available for hire and can offer advise to help you get started. Contact us today for me information. 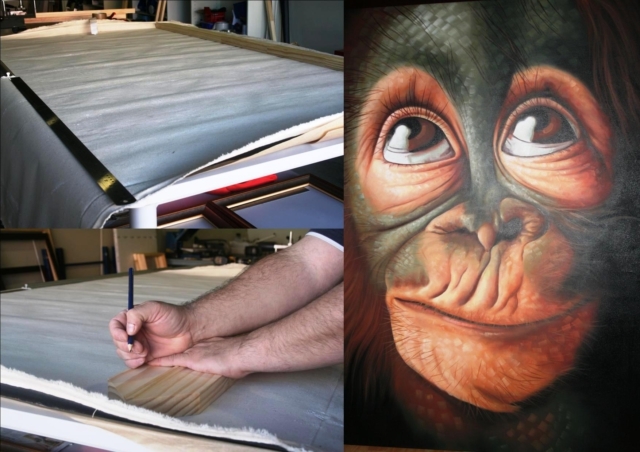 Artists can order custom made, high quality Canvas to suit your requirements. Primed Belgian Linen, 8oz-14oz Triple Primed quality Cotton Canvas, 12oz Black Primed Cotton Canvas are just some of the available sub-straits that we offer. 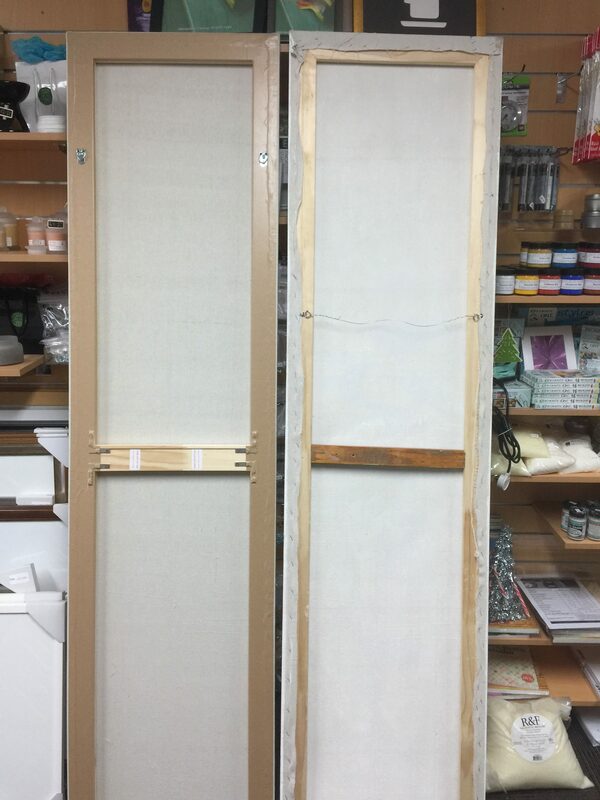 We hand stretch the canvas onto your choice of our quality strainers and provide the required hanging hardware so all you have to think about is your art. Our custom blank canvas are used and recommended by many in Perths art community. Great service, inexpensive and quick turn around. Very friendly staff and I was given great advice on choosing frames. I have used this company many times and always have been met with friendly and experienced staff. I highly recommend this company. 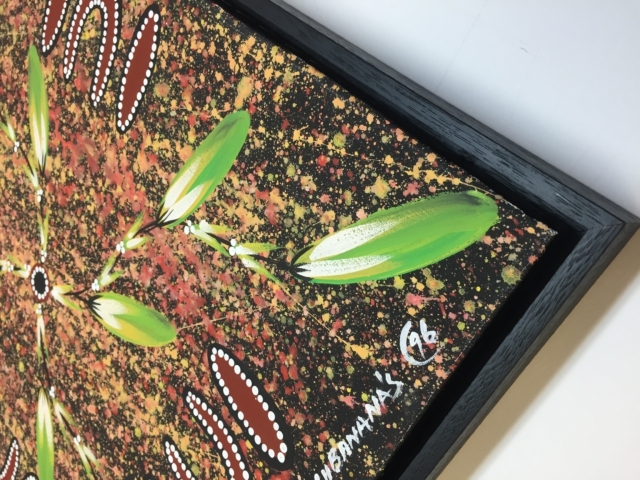 Metropolitan Framing, Perth Custom Picture Framing, Ellenbrook, Perth, Swan Valley, Malaga, Midland, Lansdale, Ballajura, Malaga, Kingsway, Wangara, Wanneroo, Joondalup, Ocean Reef, Dianella, Noranda, Subiaco, Tuart Hill, Hillarys, Encaustic Supplies, Canvas Stretch, Block Mount, CPF, Certified Picture Framer. I have had many framers over the years but this one is the best. They earn their five stars easily by competitive pricing with great service and attitude. There are many framers much closer to me but am willing to go the extra miles to go to them because they always go the extra miles with their service. In my usual manner I was running late with a very special present that needed to be framed and was told (politely!) that it is usually a 2-ish week turnaround. When they found out it was for my little boy's birthday on Friday all stops were pulled out and I received a message today (Thursday, I only dropped it in on Tuesday!) that my little man's present was ready to be picked up. They went above and beyond what they needed to do knowing they were fully booked too so thank you so much guys, you have made my day! Would recommend to anyone. Great service today, thanks guys. Nice to have some expert advice. I ONLY use Metropolitan Framing for clients work, the quality is just wonderful and the service next to none, not to mention the value for money. Highly recommended! Your customer service was AMAZING today!!!! Thank you, I will be sure to use your business again. Your customer service was AMAZING today!!!! Thank you, I will be sure to use your business again. First class service and a delight to deal with, I will be back. Its wonderful to have such great service in my own community. Metropolitan Framing just completed framing my artwork. It looks amazing, the colour, the size of the frame and the prompt service. It is totally ready for the Gallery! Will recommend your service to everyone. Much appreciated with lots of thanks! Its wonderful to have such great service in my own community. Metropolitan Framing just completed framing my artwork. It looks amazing, the colour, the size of the frame and the prompt service. It is totally ready for the Gallery! Will recommend your service to everyone. Much appreciated with lots of thanks! I have used Metropolitan Framing recently and have been extremely pleased with the framing. Excellent customer service , excellent product knowledge plus very good value for money. Nothing too much trouble for them they and go out off the way to help you out. I would highly recommend them if you are looking for any framing work. I have used Metropolitan Framing recently and have been extremely pleased with the framing. Excellent customer service , excellent product knowledge plus very good value for money. Nothing too much trouble for them they and go out off the way to help you out. I would highly recommend them if you are looking for any framing work. Finally a business that doesn't make you feel like 'their doing you a favour'. Reasonably priced, friendly and reliable workmanship, definitely recommended. Very happy with the hand stretching of our 2 Bali prints. Great customer service. Went through all our options as we had no idea what we needed. Plus had a text 2 days later to tell us it was ready for pick up. Will be back when we next get some canvases. Thank you guys for excellent advice and beaut track system. Bought Saturday and all in place Sunday. Excellent service and amazing end product. Highly recommend to anyone. Thanks again for your terrific work. You have now helped me 5 times and I have been beyond thrilled every time. Your skill, patience and customer service are astounding. I will continue to recommend you to everyone who will listen. You guys do amazing work and absolutely bend over backwards to provide a quality product and experience. I look forward to the next time. Thank you so much. I am a massive fan. Thanks again for your terrific work. You have now helped me 5 times and I have been beyond thrilled every time. Your skill, patience and customer service are astounding. I will continue to recommend you to everyone who will listen. You guys do amazing work and absolutely bend over backwards to provide a quality product and experience. I look forward to the next time. Thank you so much. I am a massive fan. Outstanding customer service, immediate contact and helpful suggestions. Received items within 24 hours, I will highly recommend them to others. Outstanding customer service, immediate contact and helpful suggestions. Received items within 24 hours, I will highly recommend them to others. I had a number of canvas paintings that required stretching and prints to be framed. The quality of finish on all items was exceptional and their customer service exceeded my exceptions. Highly recommended. Great customer service and advice. Had an aviation print framed and finished product was stunning. High quality workmanship, great customer service and advice on what would work well with great attention to detail. I would highly recommend to anyone. Thank you! My prints look amazing! Thanks for the input and suggestions on what was going to work best. Professional expertise with service, skill and a smile. Very happy with our frames - Thank you. Metropolitan Framing have done a number of different framing jobs for me now; from sports memorabilia, priceless old family pictures as well as recent ones, prints and canvas stretching to name just a few. The jobs have always been completed on time and to a standard I haven't been able to get from other framers, and the the cost just couldn't be compared. Their service and quality of work is exemplary. Metropolitan Framers are the best. I highly recommend their services to anyone looking for a top quality job delivered on time and at the best possible price. Faultless professional and courteous service and as a first time customer could not be more pleased with the framing of my photograph. Absolutely stoked with the professional and courteous service, willingness to please and the final result of my framed photograph. Many thanks to Michael and Sarah at Metropolitan Framing. Highly recommended, will be back for sure! Faultless professional and courteous service and as a first time customer could not be more pleased with the framing of my photograph. Absolutely stoked with the professional and courteous service, willingness to please and the final result of my framed photograph. Many thanks to Michael and Sarah at Metropolitan Framing. Highly recommended, will be back for sure! I went in with a canvas not knowing what I wanted and walked out incredibly happy. He explained the different types of framing they can do with canvas, suggested other ideas and gave opinions on what sort of framing would look good with my canvas. Ended up with a float (which I didn't even know that type existed) and was finished earlier than I was told! Extremely good customer service, and incredibly happy with the results! Definitely coming back again! I went in with a canvas not knowing what I wanted and walked out incredibly happy. He explained the different types of framing they can do with canvas, suggested other ideas and gave opinions on what sort of framing would look good with my canvas. Ended up with a float (which I didn't even know that type existed) and was finished earlier than I was told! Extremely good customer service, and incredibly happy with the results! Definitely coming back again! Exceptional customer service and advice. Framed artwork and music memorabilia second to none!! Can't wait to hang on wall. Highly recommended to family and friends. I just had a few items framed at Metropolitan Framing and they did an excellent job. Their price was more that Great value and the completed work looked way better than I expected. I would definatly recommend this buisiness to anyone who wants to frame their memorabilia at a bargain price. I even travelled from North Perth to Ellenbrook to get my shirts framed before xmas and they were the only framer that I rung up that could do the work in the short timeframe. Wonderful service. They really knows their stuff, great advice, great pride in their work and at a very fair price too. Highly recommend Metro Framing Ellenbrook. I had a photo that needed touching up and Mike did an excellent job. It was great dealing with a friendly and helpful service. Amazed at the beauty of my artwork after getting them framed by Metropolitian Framing. Great service with reasonable prices. Thanks. 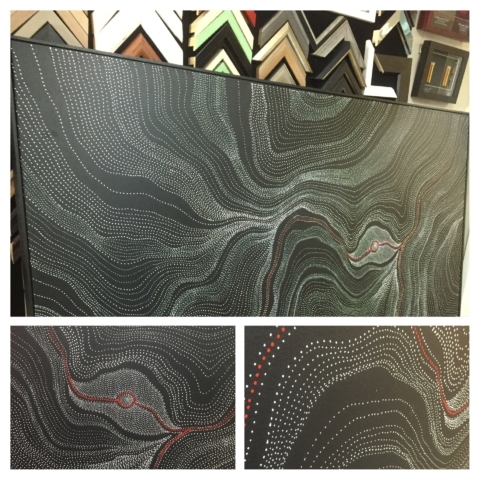 Amazed at the beauty of my artwork after getting them framed by Metropolitian Framing. Great service with reasonable prices. Thanks. I have had a number of prints framed by Metropolitan Framing and the prints have always looked amazing. Mike is very professional and helpful but not pushy. I have had pictures framed at a number of different places and find Metropolitan Framing very competitively priced. Fantastic customer service and the finished product is beautiful! Fantastic customer service and wonderful care taken in providing an excellent product. The go to place for a large stretched canvas. I highly recommend Metropolitan Framing 5/5 ! I have used these guys for a while now and they are fantastic, they provide a first class job at very competitive prices. They go out of their way to help and get the best out of your art. Great job and I will never go anywhere else for framing and supplies. A big Thank You to Metropolitan Framing for creating a fantastic bespoke large canvas for me. I had notification it was complete within 24 hours, which had me super impressed. This is for a commission, so I'm very happy. They were helpful, attentive and well informed whilst helping me to get exactly what I needed. I'll be back! A big Thank You to Metropolitan Framing for creating a fantastic bespoke large canvas for me. I had notification it was complete within 24 hours, which had me super impressed. This is for a commission, so I'm very happy. They were helpful, attentive and well informed whilst helping me to get exactly what I needed. I'll be back! Sophie Mahir Art. Big thanks to Mike at Metropolitan Framing for doing yet an another awesome job of framing my wonderful animal prints! Highly recommend this company. Went over and above to make sure my painting looks amazing in its new frame. So much help & good advice with the design of a new project. Went over and above to make sure my painting looks amazing in its new frame. So much help & good advice with the design of a new project. Thank you! 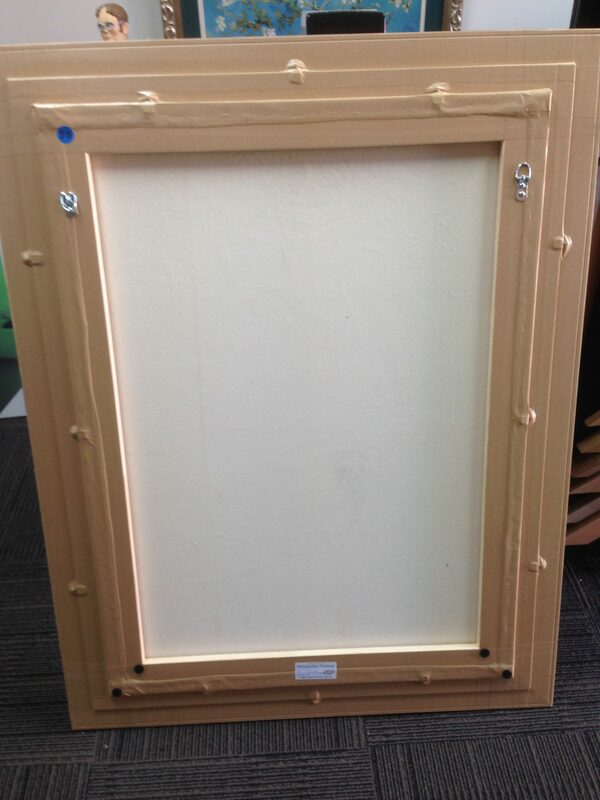 GREAT FRAMING SERVICE - NO NEED TO LEAVE ELLENBROOK. Friendly husband and wife team, professionally trained and delivering top quality work. Excellent value for money. I've had over 10 items framed at Metro now and they have all been perfect - exactly what I asked for. 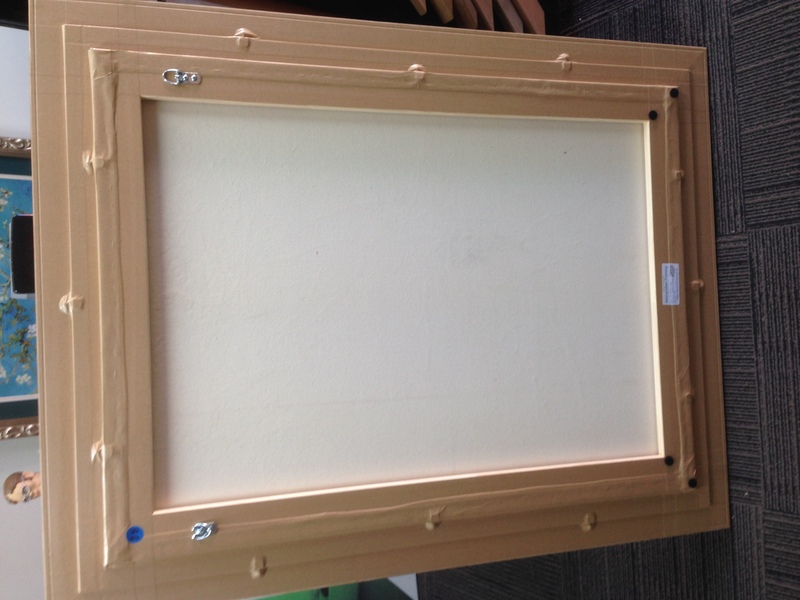 GREAT FRAMING SERVICE - NO NEED TO LEAVE ELLENBROOK. Friendly husband and wife team, professionally trained and delivering top quality work. Excellent value for money. I've had over 10 items framed at Metro now and they have all been perfect - exactly what I asked for. Fantastic service all round 👍 Wonderful people who are very helpful, well priced & end results were perfect 👌 Highly recommended. Helpful advice, reasonable prices and speedy dispatch. Highly recommended for all your framing needs. Had a triptych of coasters framed that were gifted to us. Excellent advice was offered on the type of frame & matt colour selections to suit the coasters. Professional service all around. Love the finished product, thank you! Exemplary delivery service again. Thank you so much for my order which I received this morning. Ordered Friday - arrived the following Monday - in regional South Australia no less! And thank you for the Xmas gift of extra card. Have a great Xmas and New Year. Thank you so much to Sarah & Mike from Metropolitan Framing for all their advice and help regarding the mat & foam boards for our artworks. The patience and kindness that you showed to us, did not go unnoticed. Your professionalism and the wonderful job that you both did on the framing of our artworks was outstanding. We would highly recommend you to all our customers, friends & family. Absolutely amazing!!!! All my framing work goes to these guys. Today I bought some tape from Metropolitan Framing, and left with a few scrap pieces of foam core for free. I tried my best to cut it myself at home but failed miserably. They not only hand cut the scrap into strips for me, but did it for nothing despite being flat out with actual paying customers. How often does that happen these days? Very professional, kind, and generous. Cannot recommend highly enough, and now thanks to that amazing service Metropolitan Framing will always have my business. Beautiful framing of some very special memories. Thank you for the advice. The end product was more than I could have hoped for. Highly recommended for quality, workmanship and price. I will be back with more of my treasured possessions for you to frame. Beautiful framing of some very special memories. Thank you for the advice. The end product was more than I could have hoped for. Highly recommended for quality, workmanship and price. I will be back with more of my treasured possessions for you to frame. Thanks to Metropolitan Framing, our prints look awesome. Very professional and pleasant to deal with. We'll be back! Can’t rate this place highly enough. Totally professional at all times, they are all about an amazing end product and customer satisfaction. You will not be disappointed if you chose these guys for any framing or canvas printing needs. I picked up a very close-to-my-heart autograph that was framed for me, and I simply could not be happier. The quality of the workmanship, the care taken with my autograph, is absolutely worth five stars and more. I am yet to hang it up, as am redecorating the room where it will hang, but Metropolitan Framing provided an amazing service at a very competitive rate. Highly recommended. Great service. Made sure they got me the same frame to match my other pictures and gave great advice on the matting to bring out the best in the photo. Happy customer! Thanks again for framing my posters, they look great one year on! Top quality service and advice. An absolute pleasure to deal with:) Thanks guys. I cannot speak highly enough of the work that Mike and his team have done for us. 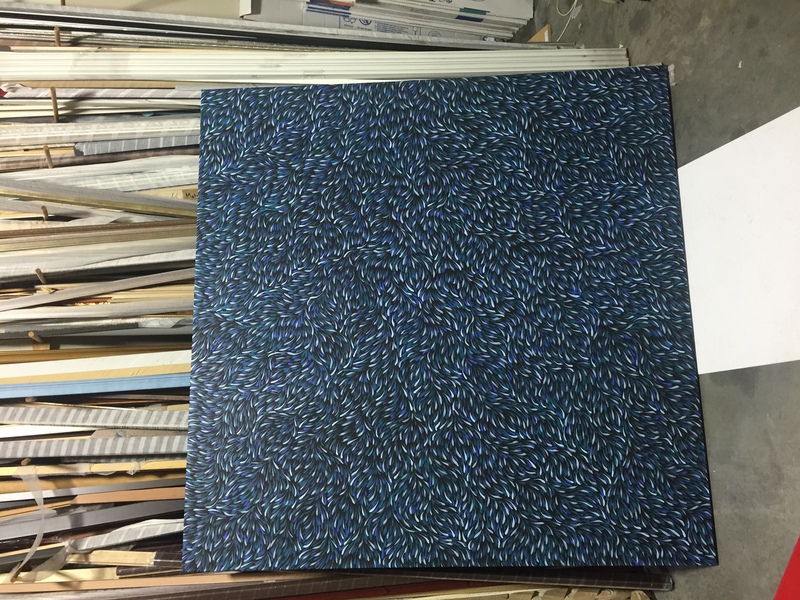 We gave them quite a challenge with some large artworks and they far exceeded the service we were expecting, going so far as to bring the first of our paintings to our showroom for us to see to make sure we were happy. First class service and I would highly recommend using them. I, like another review, made trip up to Ellenbrook after comparing Metropolitan Framing's prices with a number of galleries and framing services in the Western and Southern suburbs. Looking for someone to stretch and frame a valuable oil on canvas for me, I was truly impressed by their knowledge, advice and craftsmanship. The work was completed to a stunningly high standard in a very short timeframe, and the price is simply unbeatable. Would not hesitate to recommend and am thrilled with final product! Received my encaustic waxes today thank you. Very fast service, goodies arrived professionally packed so my waxes weren't even scratched or broken. Thank you once again for such great service. I look forward to doing business with you again. Received my encaustic waxes today thank you. Very fast service, goodies arrived professionally packed so my waxes weren't even scratched or broken. Thank you once again for such great service. I look forward to doing business with you again. I have a small business and I have used Metropolitan Framing to cut my mats for a few years now. I drive from Joondalup to Ellenbrook because they are the best. 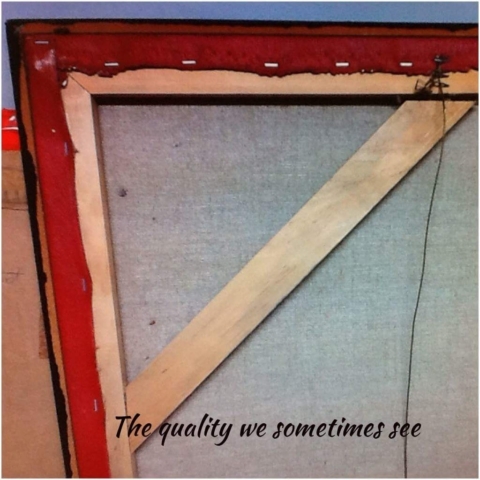 They are very knowledgeable and very generous with advice, work is always to the highest standard, if Mike frames something for you it will be perfect! and service is always above and beyond what I expect. They are truly good people. 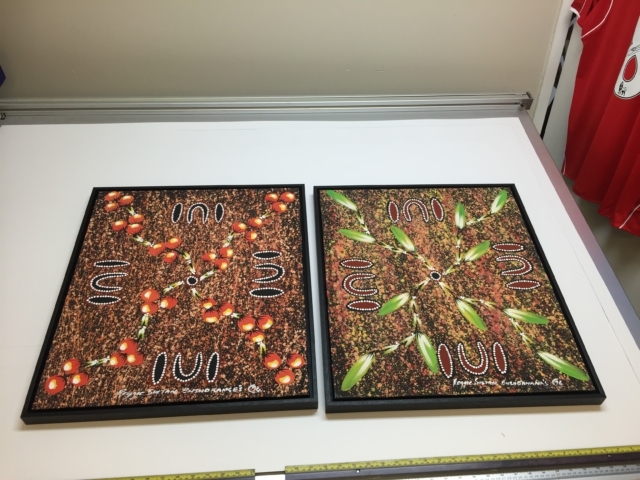 I have a small business and I have used Metropolitan Framing to cut my mats for a few years now. I drive from Joondalup to Ellenbrook because they are the best. They are very knowledgeable and very generous with advice, work is always to the highest standard, if Mike frames something for you it will be perfect! and service is always above and beyond what I expect. They are truly good people. Very highly recommended!!!!! Highly recommended! Lovely people, quick and efficient and very reasonably priced!!! Highly recommended! Lovely people, quick and efficient and very reasonably priced!!! Amazing.